A classic in the Boker lineup, and the perfect razor for every day. 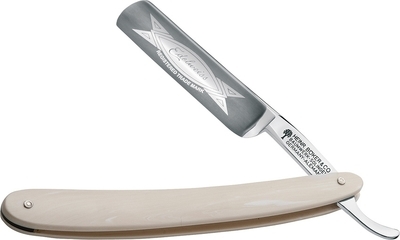 With the practical 4" blade, it is the ideal razor for use every morning. Easy to handle and provides excellent shaving results. Also suitable for less experienced users. The non-stainless blade is made of the best Solingen razor steel, and masters daily use with ease, with its traditional hollow grind. The handle scales are crafted of Elforyn Ivory. This piece also features a historical blade etching from the 1920's. 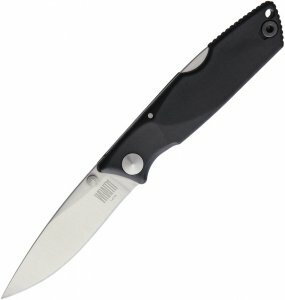 Made completely by hand in the Boker Manufactory in Solingen, Germany. Comes in traditional packaging with a certificate of authenticity.